An amazing new resource went online today in the Library section: an index with live links to audio of some the major chants, meditations, teachings and stories that I have shared in seminars over the past five years. This volunteer project was accomplished by Jannat Granger in the UK, assisted by our own webmaster Chris Granger. 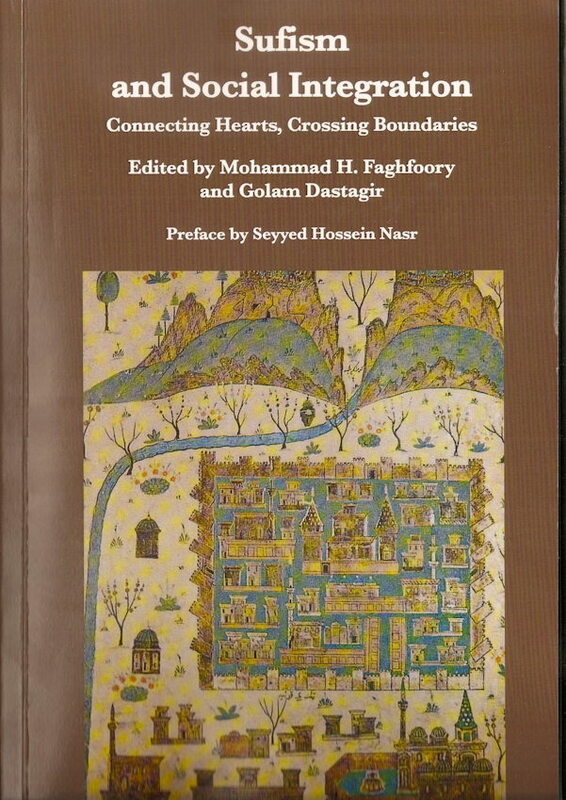 The current index includes the three retreats currently available for sale in the online store (Green Sufism, Aramaic Jesus and the Sufis and Way of Renewal: Healing Pathways of the Heart) as well as the class on healthy boundaries and self-protection I led in 2014 at our Ruhaniat European Summer School (Walking Our Path with Strength and Peace). There are free live links to the audio in the Summer School class. Just click and listen, or download. The links to the three classes in the online store take you to the page for that e-course, each of which also now features a contents list for the workshop. We have reduced the cost for all three courses today by $10, so each is now only $15. Three for less than the price of two. The plan is to add more free and paid content to the index in the next few months. Stay tuned…. To find the index, go to our Library section here. This entry was posted in News from ARC, News from Neil on June 8, 2015 by Neil Douglas-Klotz. These 20 dances follow the order of the story I tell in the I Am Sounds True program (published in 2011) and include the following in the list below. Most of them came through in past ten years. In general, I now see the ‘I Am’ Dances in the context of the progressive story of Jesus’ inner transmission to his disciples before he departs, as told in the Gospel of John. I have updated a number of older ‘I Am’ Dances (like Inana Lahma d’Hayye) with new write-ups and alternate movements from what I previously posted. Finally, I have added some Dances to sayings in the book Blessings of the Cosmos (2006). My thanks to Mary Qahira Richardson and Ellen Bush for the lion’s share of the work drafting and putting together the descriptions of the movements and commissioning and checking the musical notation involved. Others who helped in this work were Jo Jibrila Curz and Munira Elizabeth Reed, whose annual summer Abwoon Dance group ‘test drove’ a number of the descriptions for clarity. Thanks to them all and to the One! Ninhar Nuhrakun, Qadem Bney Nasha (“Let your light so shine before men,” Matthew 5:16). Shelu wa Nethyahb l’khun (“Ask and it shall be given you, seek and you shall find, knock and it shall be opened to you,” Matthew 7:7). Inana Raya Tauba (“I am the good shepherd,” John 10:14). Inana Nuhama wa Hayye (“I am the resurrection and the life,” John 11:25). Ina d’Tayeb l’Khun ‘Atra / Hayye d’Alma (“I go to prepare a place for you,” John 14:2 / Renewable life energy). Kyrie / Inana Urha Partner Dance (“I am the way, the truth, and the life,” John 14:6). Nahaseh Adam (“Let us create man in our image, after our likeness,” Genesis 1:26). Abba Abada Haimanuta Alaha (Uniting our own creative ‘works’ with the creating Source, together with grounded trust in Sacred Unity. Key words from John 14:9-12). Shlama l’ki (Mariam) Shlama (“Ave Maria” in Aramaic, Luke 1:28). Inana Gepeta wa Aton Shibishta (“I am the vine and you are the branches,” John 15:5). Det Haboon Had l’Had Aykanna d’Ena Ahebtakoon (“Love one another as I have loved you,” John 15:12). Alaha Abaru “Become Passersby” (Words from Gospel of Thomas saying verse 42 together with remembrance of Sacred Unity). Alaha Hedi / Hayye (Sacred Unity, rejoicing, guidance, key words from the Beatitudes in Luke 6:20-26 / Life energy). Alaha Nyach (Rest and be renewed in the arms of the Holy One! Key words from Matthew 11:28 in the Syriac Aramaic version). This entry was posted in News from Neil on May 31, 2015 by Neil Douglas-Klotz. Five years ago, a Bangladeshi Sufi scholar working at the University of Toronto wrote to me about a project to report on contemporary Sufis around the world who were involved in social education and action in their communities. In this age of the Internet and an infinitely expanding blogosphere, Dr Dastagir could have easily posted reports online. However, what he wanted to do was to edit an anthology of articles that could be used in universities around the world. Dr Dastagir had a great deal of difficulty finding a publisher for the book. Like academic recognition, funding in this area follows the script that everything must be based on an ancient manuscript, not living experiences. Surely, there are no real Sufis today! 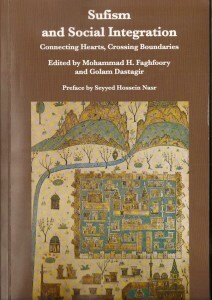 For the book, I contributed a chapter on Murshid Samuel Lewis, who was fond of quoting the medieval Sufi Al-Ghazali: “Sufism is based on experiences and not on premises.” My chapter (which combined two previous papers I I gave at the American Academy of Religion) is entitled “Languages of Experience: Personal Integration and Social Cohesion in the Work of a Twentieth Century Chishti Sufi.” That’s real academic title for you, but the article, if I do say so, is a) readable and b) actually has something to say (an anomaly for academic articles). For those who think they know everything about Murshid S.A.M., the article helps one understand why he was so keen on Alfred Korzybski’s “General Semantics” school of philosophy/psychology. This is all over Murshid’s letters, which often flummoxes people reading them. The article will tell you why he was so enthused about it, how it all relates to the quote by Al Ghazali above, and why Murshid felt that, if applied rigorously, it would help solve most problems in the world today. I wouldn’t want to hold you to ransom, so both papers are already online in the academic section the Abwoon Network Library. This entry was posted in News from Neil on May 21, 2015 by Neil Douglas-Klotz. A 1978 interview with Shamcher Bryn Beorse in the New Age Journal. We talk about the spiritual path, Hazrat Inayat Khan, psychics, solar energy, ecology and much more. Shamcher has been a great inspiration in my life. He left his body in 1980, but is still with us! This entry was posted in News from Neil on May 10, 2015 by Neil Douglas-Klotz. 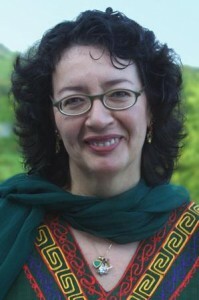 Here is an hour-long interview with Janet Conner from her show on Unity Radio last week. In it, I offer two body prayers and some commentary on her theme of the month: Sacred Presence. As you might expect, Holy Wisdom – Hokhmah- plays a large role as do the words of Jesus in Aramaic. You will also be able to find this interview posted on our Abwoon podcast page in a few days. This entry was posted in News from Neil on March 2, 2015 by Neil Douglas-Klotz. 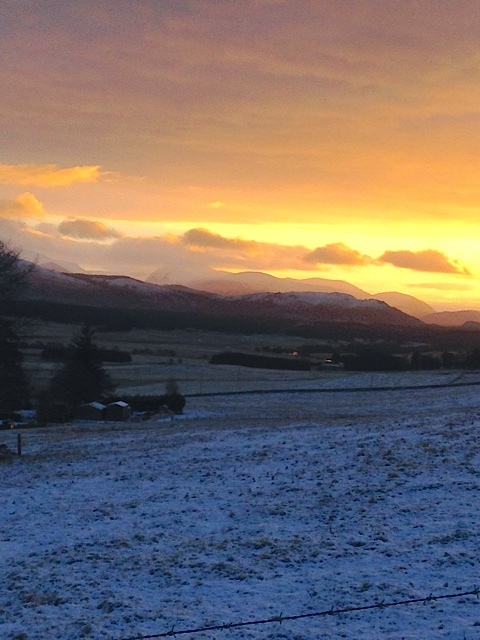 Greetings and blessings from Scotland, where Natalia and I again find ourselves at home preparing for today’s Hogmanay (New Year’s Eve). The light has begun to lengthen again, and although the weather has turned cold, we don’t face the types of temperatures that our latitude-neighbours in Moscow and Alaska do. At this time of year, the contrasts of light and darkness, sun and shadow lend themselves to going within. 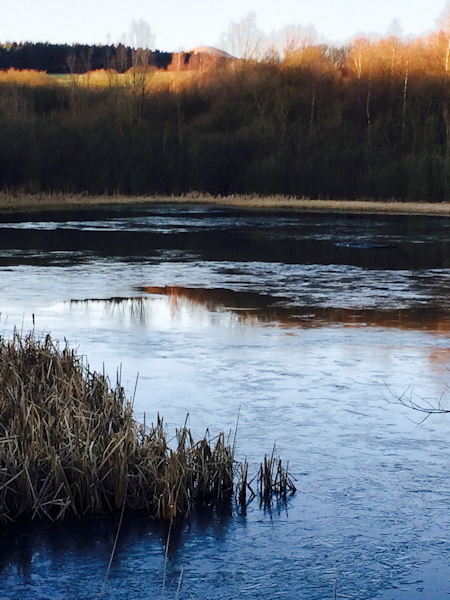 A solo spiritual retreat is calling in a few weeks’ time, and I know from my correspondence that many of you are able to take a similar opportunity during the winter months in the northern hemisphere. For me, being on retreat is about discovering a different, usually slower, rhythm of awareness than I usually find possible in everyday life. Finding one’s way into and back from these altered states of awareness is something that becomes easier with practice. No amount of practice can command or induce states of grace or inspiration from the Only Being. However, one can prepare oneself to receive them. In this regard, the Aramaic word for “prayer” used by Jesus could really be translated as “making space for” the Holy One. Practices continue to be useful throughout our spiritual life. One never grows out of them, no matter what “degree” of realisation one reaches. Yes, no one can take away the realisation we have achieved, but more or less of our being can forget it through self-satisfaction. The practices that we have inherited from all of our teachers are an invaluable gift for going within on retreat. Nothing is automatic or guaranteed. As the Christian mystic Meister Eckhart said, “the Path has no road that leads to it but is off any beaten path.” However, our connection to those walking ahead of us on the caravan provides a compass and an astrolabe when wandering in the unexplored wild places of the self. Spiritual practice strengthens that connection to the chain of guidance. Inspiration and vision confirms it. After the personal retreat time in mid-January, I will be checking in with our Dervish Healing Order family at the annual gathering for initiates in early February led by Murshid Saul Barodofsky near Hamburg, Germany. This event, as well as the annual May open weekend at the same venue, provides an invaluable opportunity to re-connect with our ‘transmission’ family and receive some life-energy for future work. 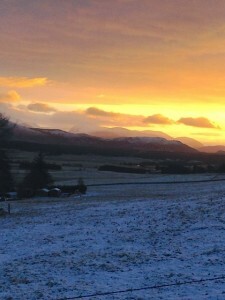 As a follow up to Murshid Saul’s wonderful visit to Scotland in September of this year, Natalia and I will be leading a Dervish Healing Order weekend here at the same venue September 26-27 entitled “Heartfulness: Clearing and Strengthening the Inner Life.” That event, as well as the one in southern England at Othona in October focused on“Cycles of Life, Cycles of Wisdom,” are open to all. We will also be continuing with weekend two of the three-year healing series in the USA in late October. Before then, we welcome Pir Shabda Kahn to Allanton Centre in the Scottish Borders February 12-15, where he and I will be sharing a weekend entitled “Becoming a Friend of the Friend” (after a saying by Jelaluddin Rumi). Murshid Tansen O’Donohoe and I will again be sharing three retreats in the UK next year: our annual Dances of Universal Peace and meditation weekend in Crewe in late February, the UK mureeds retreat near Oxford in late August, and an open workshop focused on Sufi music and zikr in Scotland in late November. This year I will again be teaching the main class at the annual Sufi Ruhaniat European Summer School on the theme “In the Wild Places of Wisdom: Heart, Nature and Embodiment” from June 27 – July 4. 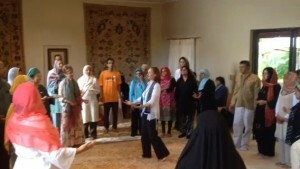 For details, as well as audio downloads from past summer schools, go to www.ruhaniateurope.org. Since the publication of The Sufi Book of Life ten years ago, I have continued to dive into the wealth of the many “Beautiful Names” not included in that book. Some of the fruit of this new work will appear in two retreats, one in Charlottesville, VA, USA from April 16-19 entitled “Vectors of Love,” followed by a similar one a few weeks later near Berlin, Germany. For full details of all of these events, see the Workshops calender in the menu bar above on this site. With the help of webmaster Chris Granger, we have also been able to offer more videos of my Aramaic Jesus work, podcasts of lectures and classes, new notations of Dances of Universal Peace and chants, a column profiling news from around the Abwoon Network by Sharon Abercrombie and my own semi-regular blog (where some of you are undoubtedly reading this). Most of what you find at the site is free, with links to other sites to purchase my books. With the help of many other volunteers including Patricia Hume, Devi Mathieu, Mary Qahira Richardson, Ellen Bush, Subhana Elizabeth Ferrio, Alia Michaels, Richard McMurtry, Katie Shroth, Jivani Joyce Carlson and, of course, the Rev. Elizabeth Reed, we are moving into a new, travelling-lighter profile for the Abwoon Network that frees everyone for new directions in their own creative work. Before you ask, my own new projects continue to cook, and I hope to have one or two ready to serve in the coming year. Inshallah! From the Abwoon Network, we wish you and your communities a hopeful and healthy New Year, and as the light returns again, a year full of creative, compassionate life energy. This entry was posted in News from Neil on December 31, 2014 by Neil Douglas-Klotz. I come to expect it about twice a year. When I am able to respond to the person who kindly forwarded me the article or link, I try to explain that there are many Aramaic-speaking Christians in the Middle East, and not a few in Europe and the USA. Many of them, however, are not Catholics, Protestants or Orthodox believers. They are Assyrians, who have a valid claim to be the oldest Christians in the world, predating any of the later creeds that divided Jesus’ followers into the above groups. Probably because they are non-Trinitarian, non-white and non-European, there has been an almost complete blackout of news about the Assyrians over the years. According to AINA, there are 1.5 million Assyrians in northern Iraq, living in or being displaced from the area they consider their traditional homeland, old Assyria. The next largest numbers of Assyrian Christians live in Syria (700,000), the United States (400,000), Sweden (120,000) and Lebanon (100,000). The Mandaeans: If there has been a relative blackout of news about Aramaic-speaking Christians in the area, there has been a total blackout of reports about their Aramaic-speaking neighbors, the Mandaeans, who honor the person Christians call John the Baptist as their true prophet. I offered an excerpt of one of their sacred texts in my book Desert Wisdom. The Yazidis: The Yazidis have been most in the news due to the ongoing horrific situation in Sinjar province. Vilified by some Muslims and even Christians as “devil-worshippers,” the image may conjure up an image of Western Satanist cults. Far from this, the Yazidis are a peaceful, monotheistic people, who claim to be not only older than Islam, but older than any other Middle Eastern religion. Far from being a ‘satan,’ Yazidi spokespeople associate their main creator-savior-figure, the “Peacock Angel” called Malik Taus, as the original archetype from which came various world religion figures such as Melchizadek of the Bible, Al Khader (the Islamic “green man”), St George, Enki, Dionysis, Quetzlcoatl, and Murugan of the Hindus, among others. They also have Sufi links and a high regard for Mansur Al-Hallaj, based on the latter’s non-dualistic view of Iblis, whom the Yezidis identify with the Peacock Angel. There Must Be Some Way Out of This: Yes, but it won’t be easy, at least according to my most reliable source about Iraq, a Sufi colleague who formerly served as both Finance Minister and Defense Minister in the Iraqi government—Dr. Ali Allawi (http://www.aliallawi.com). This entry was posted in News from Neil on August 14, 2014 by Neil Douglas-Klotz. For those of us who felt the blessing of his work, we may want to send prayers in the next six weeks for his soul’s journey as well as for his community’s wellbeing. Fortunately, Reb Zalman trained many fine students who are carrying on his work around the world. I have pasted in below a suggested practice from Pir Shabda, the head of our Sufi lineage in this regard. The Sufi practices themselves come from Zalman, who was recognized as Sufi Sheikh and who offered them to Pir Shabda after the death of the latter’s son. You will find the practice below as well as the equivalent Hebrew pathways/steps (sefirot) on the Tree of Life. My most lasting memory of time spent with Reb Zalman was during a Lama Dances of Universal Peace Camp in the 1990s. Zalman had been on private retreat throughout our camp and only came out of silence once, to attend the Friday Shabbat at Lama, which usually included some Hebrew Dances. When I asked Zalman whether he would like to say anything, instead of speaking he quickly organized 100 or so of us into three non-concentric circles, dancers facing out, with a small space in the middle between the three circles. “Now,” he announced, “we’re going to do a Three Rings peace dance” (with reference to a Holy Land peace project of Murshid Samuel Lewis by the same name, inspired by Lessing’s story Nathan the Wise). The whole thing, as it were, lifted off. For about 45 minutes, I was in another state. I couldn’t see what Tasnim or Zalman were doing, but I did see what came back from the glance of the dancers they had touched, as we all circled and chanted for what seemed an eternity. By the end, everyone was bringing through blessing and joy from all three messengers. At the end, we sent it out in a wave of peace for the world. We could use a few more of those peace waves now, and a few more of us to be as bold as Zalman was in pursuit of it. ‘Peace’ is dynamic, not a static state, so we need to keep planting the seed that best grows around us and in us. 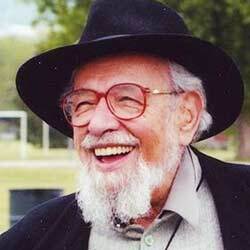 May you continue to dance with the angels, Reb Zalman….Baruch Kevod Yah Mim Komo…May blessing come to and through us from the consciousness of the Ever-Living One! “When our son Solomon died in January 2012, Reb Zalman called us and shared practices from the Jewish tradition of sacred phrases, one per week for seven weeks, very much like doing prayers while someone is in the “Bardos” (Tibetan for “in-between”). He translated the Hebrew into our Arabic wazifa phrases. “I offer them here for those of you who want to be involved in this form of prayers for his Journey! To complete a simple ‘three rings’ practice, I am also saying the Aramaic Prayer of Jesus each day after the chant and visualization. Nehwe sebyanach aykana d’bashmaya aph b’ar’ah. Metol d’lakhey malkuta wa hayla wa teshbukhta l’olam almin. This entry was posted in News from Neil on July 11, 2014 by Neil Douglas-Klotz. In relation to one of my translations of the first verse of Genesis, I often find myself quoting the insight of quantum physics that light can be seen as either a wave or a particle, depending on whether someone observes a particular phenomena or not. This is called the ‘quantum measurement paradox,’ and we find something similar in the intuition of the early storyteller in Geneis who describes the vision of the Holy One creating the universe in two simultaneous activities—as wave (shemayim) and as particle (aretz). Another, often overlooked wrinkle of this wisdom is that human mind, being created of the same stuff as the rest of the seen and unseen worlds, can either hold individual pieces of ‘content’—particles–or a flow of consciousness—the wave. As with the finding of quantum physics, which one of these two happens depends on who is observing, or if anyone is looking at all. So when we are in deep meditative states, or simply ‘looking the other way,’ some our deepest creative visions can arise. Various expressions of this surprised me earlier this month Natalia and I visited South Africa again. We had travelled there twice previously, in spring 2011 and 2012, for conferences sponsored by the Sufi community organized around the work of Shaykh Fadhlalla Haeri. His “Academy of Self Knowledge” in Centurion, near Pretoria, annualy draws an inter-racial and inter-cultural mix of speakers and participants from all walks of South African life and many countries abroad (see http://www.askonline.co.za). One can easily meet early members of the ANC who knew Nelson Mandela, the South African ambassador to Eritrea, a high court Judge or a scientist from Belgium. For instance, one of the most cogent takes on the current situation in the Middle East come from Dr Ali Allawi, a Sufi and the former finance minister of Iraq (http://www.aliallawi.com), a regular visitor to the conference. I was originally invited there in 2011 to speak on the Aramaic Jesus in connection with a conference entitled “The SacredOrigin of Languages.” I also shared some simple walking meditation practices from Murshid Samuel Lewis, as well as chant and breathing practice. 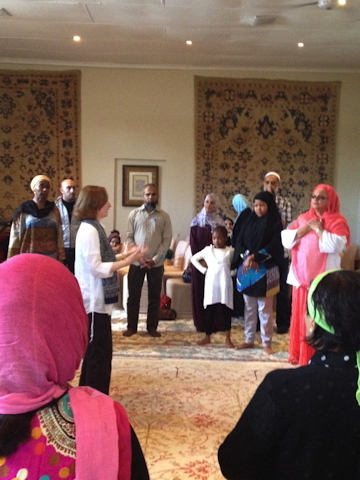 As it turned out, many members of the community had, with the shaykh’s blessing, embraced the translations of meditations on the “99 Beautiful Names” in The Sufi Book of Life. This was despite the fact that Shaykh Fadhlalla, an accomplished Quranic scholar originally born in Iraq, had done his own excellent book on the “Names.” Members of his community continue to tell me how they use the book in ways I had never imagined, for instance, as a form of ‘bedtime story’ for their children at night! The following year (2012), Natalia was invited to present walking meditations from Murshid SAM for the conference “Celebrating the Delights of Life,” and I gave a workshop on Sufi music as well as a talk about the voices of “desert wisdom.” After a hiatus last year due to my sabbatical, we returned this year. Natalia was again asked to share a session of walking meditation connected with this year’s theme, “World Religions and Spiritual Illumination,” which was very well received. I offered a short talk on “Spiritual Illumination in Islam,” which I recently posted to the podcasts section on this site. Shaykh Fadhlalla, who spoke just before me, had already offered the mystical kernal of the theme (as I knew he would), so I started my talk from “endarkenment,” the viewpoint of Jonah in the belly of the whale, which is a story related in the Qur’an as well as in the Bible. We often find ourselves completely in the dark, in the dense processes of life far from ‘illumination,’ but this, too, is a necessary step in the journey of spiritual discovery that various traditions describe. Acknowledging that we don’t know often helps to avert our gaze from a creative process in becoming. It is this individualistic gaze (the ‘small self’) that often spoils the process by wanting things to be ‘settled’ before the time is ripe. 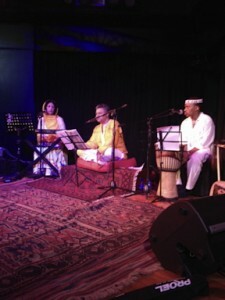 Similarly, in 2012, we had met Lynn and Yusuf, founders of the world music group Desert Rose, who have done stunning musical settings interweaving chants from many spiritual and indigenous traditions (http://www.desertrosemusic.co.za or see their Facebook page). They have performed their music around the world and perhaps most importantly as a ‘cultural glue’ for a South Africa still learning how to co-exist peacefully with great diversity. They shared their most recent album Tariqat-The Path live with the conference, which contains many inspirations from the “Names” as well as a stunning version of “God Bless Africa (Nkosi Sikelel’ iAfrika) in both Xhosa and Arabic. They have also been working on an arrangement of the Aramaic Lord’s Prayer. See below for short clips from both. Also unexpectedly, I was asked to join a group project initiated by Shaykh Fadhlalla to re-translate the Qur’an to reveal its essential transformational message. While I have always felt this project is really needed, and have made a few small efforts in this direction, it is certainly beyond me individually. However, I am very hopeful that the group Shaykh Fadhlalla has gathered will be able to accomplish it. As he is in his 70s, the shaykh has put us on a ‘fast track’ for the project. He aims to have the new translation done and published in the next year. My own contribution is to be on the Semitic roots of Quranic cosmology and psychology. In addition, we have been invited back to various communities in Johannesburg and Durban in the future, so inshallah, we will see what adventures in surprise, al-Awwal, the universe has in store. Finally, just an hour or so before leaving the country, I was surprised once more when a young man in his thirties wearing a suit, approached me at the Sufi centre in Johannesburg we were visiting. He expressed his gratitude for The Sufi Book of Life and said that it had been instrumental in his work with the Nelson Mandela Foundation (http://www.nelsonmandela.org). He had created an entire leadership program for young South Africans like himself based on the “Beautiful Names,” but without using alienating religious terminology. Alhamdulillah! Sometimes it’s really true that when one is ‘looking the other way,’ without the self observing, the wave of miracle can flow freely! (If you would like to contribute to support travel costs for Neil and Natalia’s future work in South Africa, you can make a donation through the Abwoon Resource Center in the USA or directly through the Edinburgh Institute for Advanced Learning. This entry was posted in News from Neil on March 22, 2014 by Neil Douglas-Klotz. I am preparing to return to South Africa in early March for the annual conference of Academy of Self Knowledge (see the Workshops calendar for my schedule). 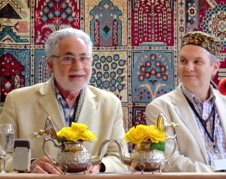 Together with Natalia, I have enjoyed sharing some of the work at two previous conferences in 2011 and 2012 and am grateful to the community of Shaykh Fadhlalla Haeri for inviting us again this year. The topic of the conference will be “World Religions and Spiritual Illumination.” We are looking forward to another rich offering of wisdom and deep mystical devotion from many traditions, rooted within a spiritual community of Muslims who live according to the true meaning of the word islam, surrender to the absolute source of unity of being. ‘As long as thousands of years ago, early humans wondered about the origin of life and what comes after death. There is archaeological evidence from about twelve thousand years ago in Turkey of regular seasonal gatherings held around man-made stone structures, which could be considered as the focal point for early worship or pilgrimage. ‘As human beings spread out through Asia and Europe leaders, chiefs and later on kings and emperors exercised outer physical strength, as well as wisdom, insight and even clairvoyance. Shamans, priests and prophets proliferated. The advent of major earthly cataclysms, such as earthquakes, volcanoes and floods brought about influential prophets and messengers whose message spread beyond their tribes. Since part of my current research is devoted to what I would call ‘nomadic spirituality’ or the ‘nomadic mind,’ how could I say no! As part of my preparation, I have just edited and posted a podcast of my talk at the ASK conference from 2012, entitled “Asking Life’s Big Questions: Voices of Desert Wisdom.” See the Library menu above to access this and other free downloads there. This entry was posted in News from Neil on February 8, 2014 by Neil Douglas-Klotz.